It’s never too late to Ornamentate. I like different. I like creating. Those two things seem to fuel my annual ornament making efforts. I also like things to stay fun and light when I’m recruiting others to help the ornamentIon process. Keeping things simple leaves more room for fun. This year we had a lot of fun AND ended up with two show stopper ornaments. They both are very easy to make and share some of the same ingredients. 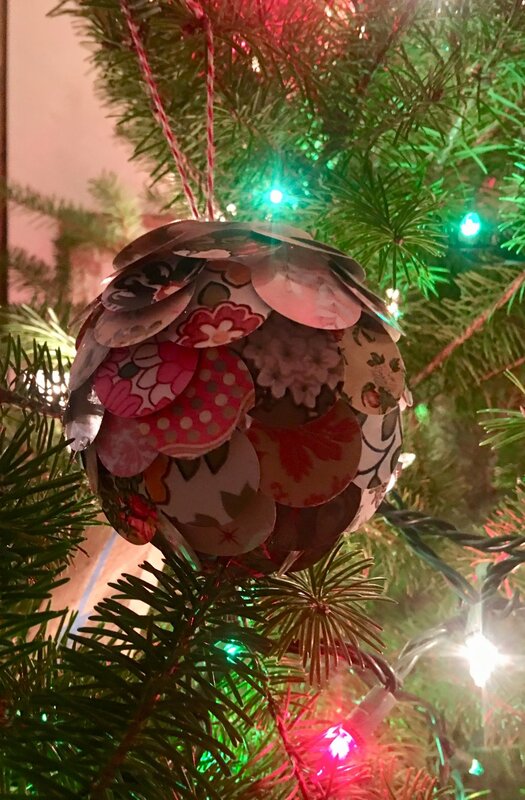 Both start with the base of an acrylic ornament ball of your desired size and that handy dandy all purpose hot glue gun. 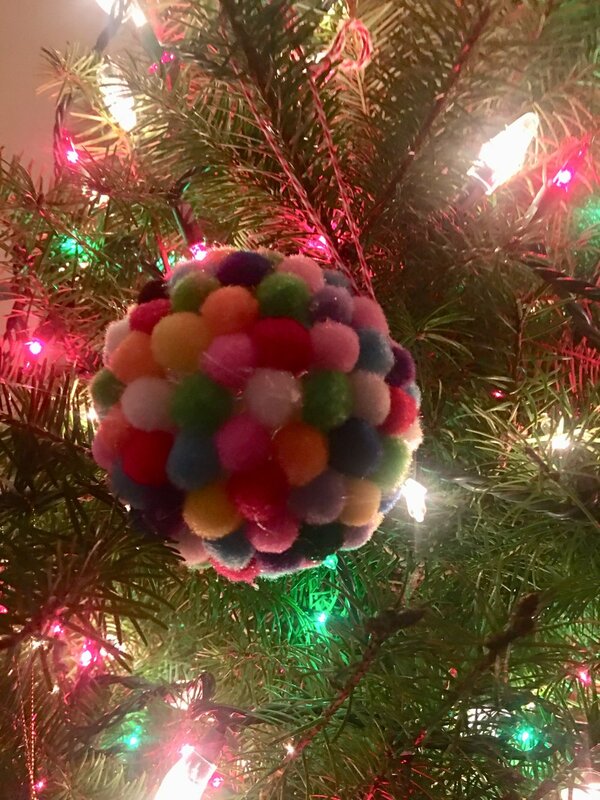 After securing the two halves of the acrylic ornament ball, the Pom Pom balls get glued around the center perimeter as a starting point. Using this as a guide, simply continue around both halves of the ball until it’s full! Full of joy is what it is!! The final and perhaps most critical item both 0ornaments share is the twine. Can’t hang the ornament without it! I used butchers twine in the white and red color bcz ... well... you know. LOOKS LIKE A CANDY CANE! Can’t beat that! Just cut the desire length of the twine and thread through the top hole ring of the acrylic ball. And there you have it. Or them. Two of the most delightful ornaments you’ll ever see. Just pausing from the “gotta do’s” to enjoy a “wanna do” can often refill an empty tank. 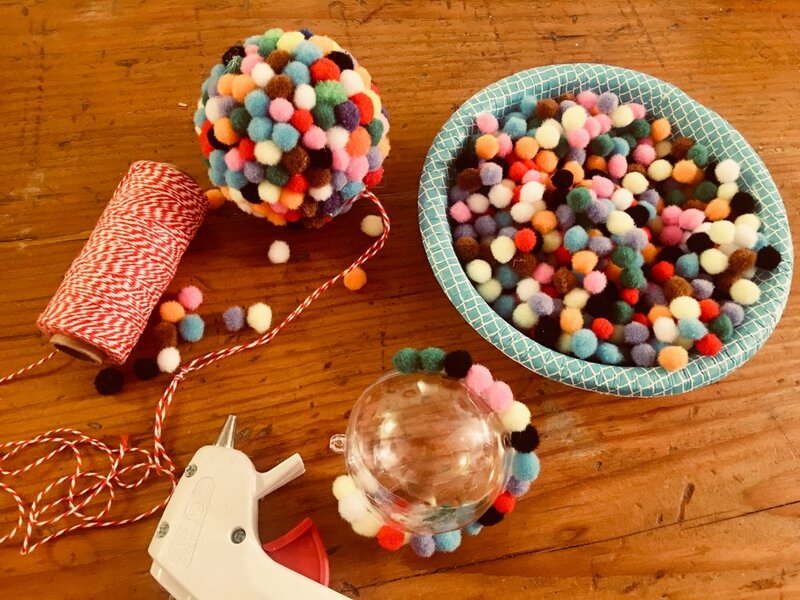 Just you and a couple of hotties — a glue gun and cocoa— and you’re off to ornamentizing your home, and heart.